In Harrisburg, PA, there are plenty of neighborhoods that are perfect for living out the golden years. 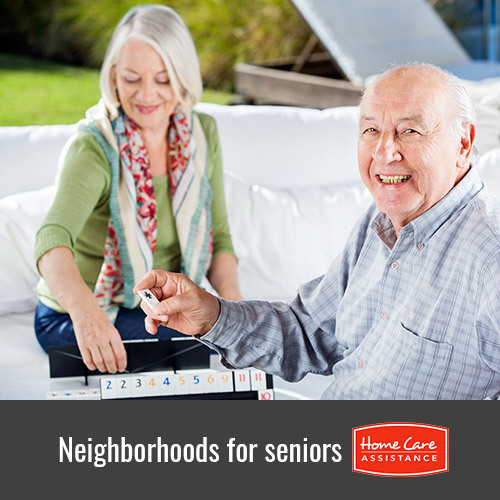 The Harrisburg senior care experts at Home Care Assistance list 4 local neighborhoods your senior loved one might find appealing. This neighborhood is comprised of moderately priced townhomes, apartment rentals, and single-family homes that are likely to fit many seniors’ lifestyle needs. When looking for fun, your loved one can head over to the Reservoir Park, where they host many festivals, concerts, and cultural events throughout the year. This park also has tennis and basketball courts, a sprawling area for walking, and the National Civil War Museum. Highlights of this area include the many quaint ethnic stores and dining establishments. This neighborhood is also near the Central Allison Hill Community Center, which provides recreational, educational, and social activities designed to enhance the lives of seniors. This small, picturesque neighborhood is made up of retirees, artists, doctors, families with kids, and everyone in between. The small-town feel of this affluent neighborhood known for its breathtaking river views is a big draw for seniors looking for a peaceful place to retire. Your loved one can look forward to the many annual festivals and flea markets held in the nearby Riverfront Park situated next to the Susquehanna River. Other perks of this area are the variety of shops and restaurants, including Los Tres Cubanos. This charming neighborhood in a country-like setting is less than 2 miles from downtown Harrisburg. Once downtown, your loved one will have access to the conveniences of the city, which includes several dining options like the City Line Diner, hip shops, and cultural attractions and events. This neighborhood has its own community building that hosts a variety of activities during the year. They also hold various other events at different locations, which can help your loved one connect with the community. This neighborhood offers affordable housing options for seniors and many perks, including being near the famous Midtown Scholar Bookstore, which has a charming café and hard-to-find books and hosts several community events and programs that can help enrich your loved one’s life. Other convenient amenities in this area include grocery stores, restaurants like the Midtown Tavern, art museums, shops, and a cinema. No matter where your loved one lives, it’s important for him or her to have a safe and comfortable home environment. If your loved one needs help around the house, turn to Home Care Assistance. Our caregivers can assist with many important daily tasks, including bathing, cooking, and cleaning. To learn more about the live-in and respite care Harrisburg, PA, seniors rely on, call one of our friendly Care Managers at (717) 540-4663 today.